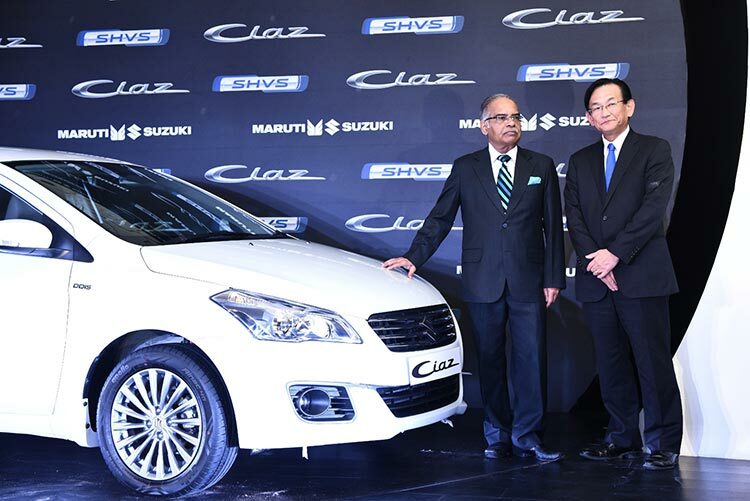 As expected Maruti Suzuki India Limited (MSIL) has launched the much awaited Hybrid version of Ciaz. The Ciaz SHVS is India’s first smart hybrid diesel vehicle and delivers a pretty good, above-the-par milage of 28.09 Kmpl and undoubtedly tops fuel efficiency chart. Ciaz SHVS participates in Government of India’s FAME program which is meant for promoting Hybrid and Electric vehicles in the country. 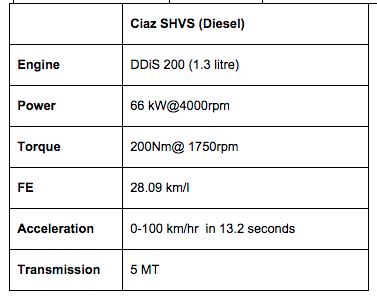 Ciaz SHVS tops Celerio Diesel and DZire Diesel in terms of mileage figures. Some of the smart hybrid features are Power Assist, Brake Energy Regeneration, Idle Engine Start/Stop, Gear Shift Indicator. The idle engine start/stop function on CIAZ SHVS turns off the engine automatically when the car is idling. It restarts the car as soon as the clutch is pressed. To re-start the engine, the system uses the stored energy. Restart is by belt driven ISG thereby assuring quick and silent restart. The stored energy in advanced high capacity battery assists engine power during acceleration. 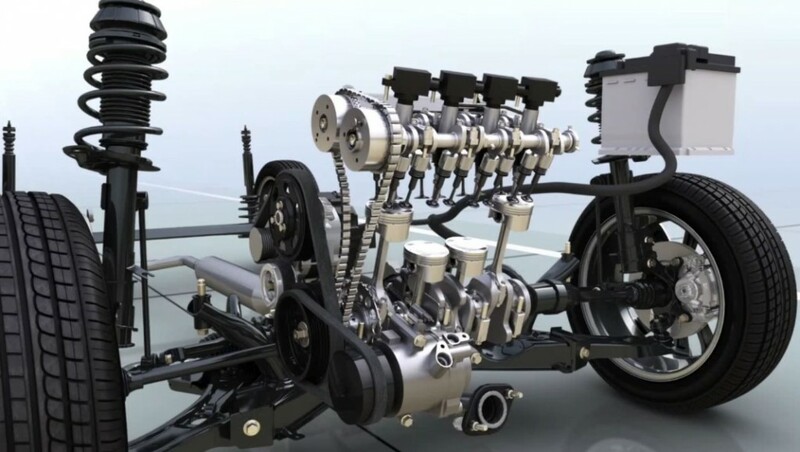 This results into improved engine efficiency and prevents unnecessary loss of fuel. Recuperation of the kinetic energy makes the Ciaz a true Smart Hybrid Vehicle. 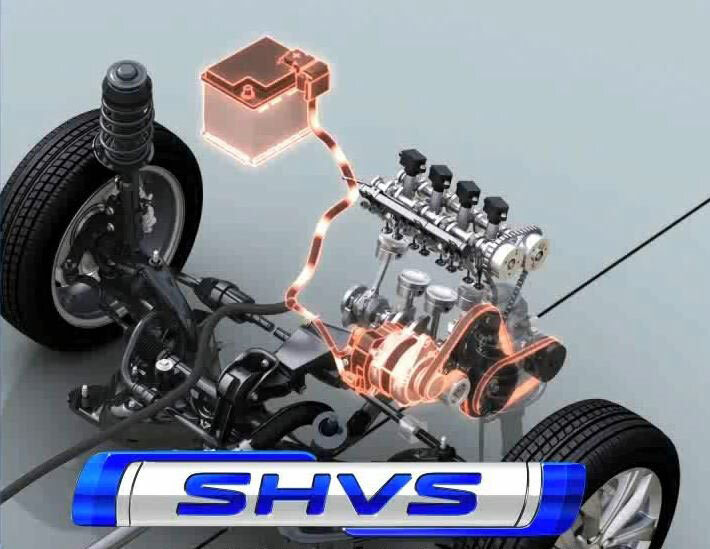 The ISG converts the energy from braking/deceleration of the car and stores it in the battery. This stored energy is later used to drive the ISG, to assist the engine’s idle start-stop function and assists the engine during acceleration. The gear shift indicator introduced in the Ciaz SHVS prompts the driver to effectively change the gears, resulting in enhanced fuel efficiency. The all new CIAZ SHVS is high on the safety quotient too. Built on Suzuki’s Total Effective Control Technology (TECT) CIAZ SHVS offers immense body rigidity and stability. It offers fortress –like protection to the occupants. Extensive use of High Tensile Steel makes the body stronger and safer. Several active and passive safety features like Dual Airbags, Seatbelts with Pre-tensioners and Force Limiters, ABS with EBD, Rear Parking Sensors and camera, Fog Lamps and Rear Defogger add to the safety of the passengers. In addition, even at the level of the entry variant, an option equipped with dual air bags, ABS & seat belt pre-tensioners and force limiters is being made available.